The Library does not lend iPad chargers. We can, however, charge them for you in the library. 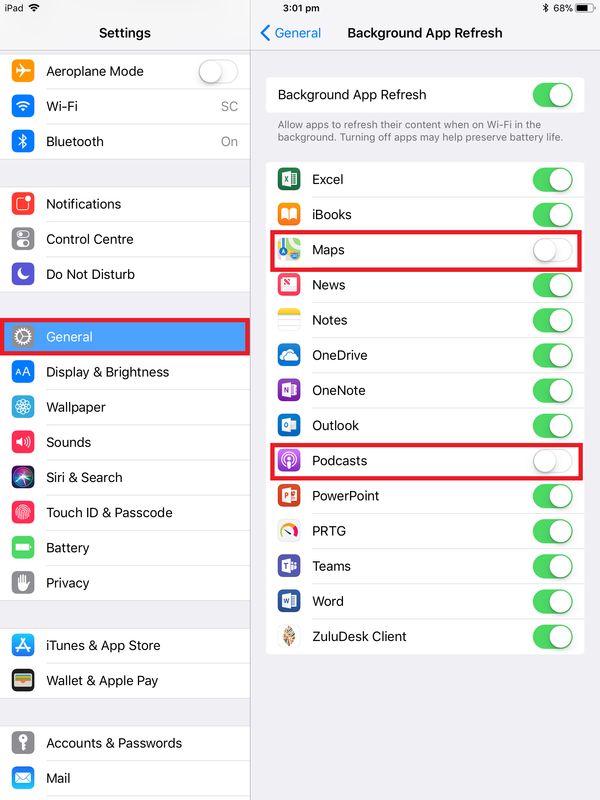 If your iPad is constantly running out of power then here are some useful tips on how to save battery. Reduce background app use. 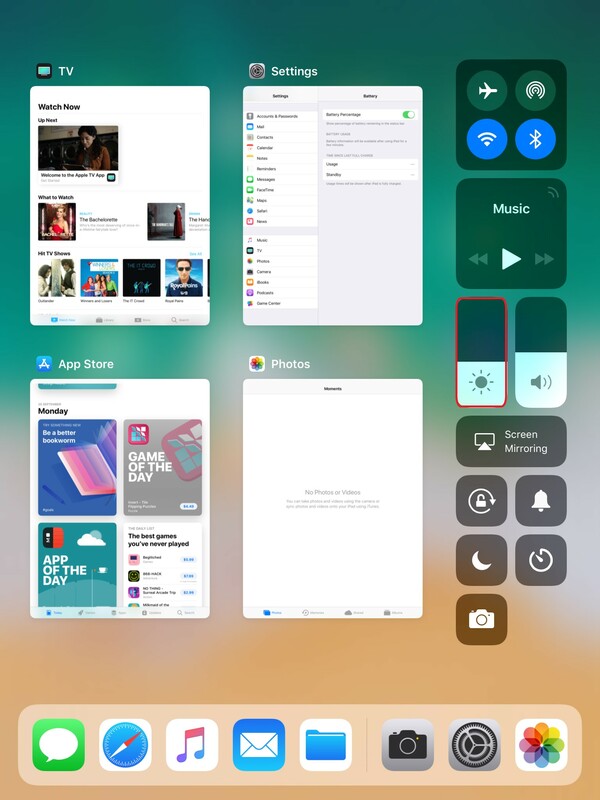 Double tap the home button and the background apps will appear onscreen. Select the app then swipe upwards to close the app. Turn off the Background App Refresh for Unused Application. Go to Settings > General > Background App Refresh. Select the Application that you are not use often and turn off the the Background App Refresh. For example, Maps, Podcasts or iBooks.